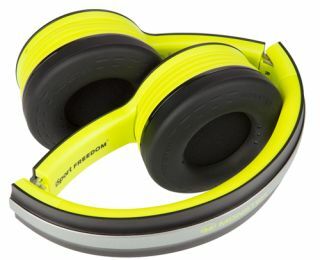 Monster iSport Freedom "washable" headphones get Apt-X Bluetooth | What Hi-Fi? The clue's in the name – the new Monster iSport Freedom is a pair of on-ear wireless headphones that are water resistant and sweat proof. Sports enthusiasts take note. Apparently they're also "fully washable", although we wouldn't recommend giving them a spin in your washing machine. Using Apt-X Bluetooth for wireless audio transmission, the £240 Freedoms can handle both music and phone calls from your portable, and are compatible with AAC files. Anti-microbial earpads ensure "bacteria-free comfort", claims Monster. A lithium polymer rechargeable battery provides up to 30 hours of music playback on a single charge. Controls on the earcups handle play, pause, track selection and volume. The iSport Freedom also includes a 3.5mm ControlTalk Universal microphone for those who prefer a wired connection to their smartphone.